Norton WiFi Pivacy is a VPN developed by the antivirus editor Symantec. It allows you to secure your Internet connection and thus protect yourself if you are connected to a public WiFi network. 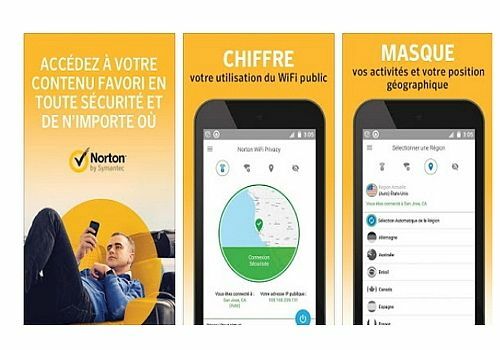 Norton WiFi Privacy's strength is its ability to encrypt data when you are on an unsecured network. This way, your personal information is protected and no one can access it. The application also allows you to browse anonymously since your IP address is hidden. Norton WiFi Privacy also insists that the service does not keep any information about your use. Norton offers a 60-day refund guarantee on the unsatisfied user and anyone can test the service for free for 7 days. The famous Opera browser offers its own VPN for Android devices. It is free and blocks advertising trackers.